So how much do you really know about PowerPoint? BBC Magazine recently posted a short PowerPoint quiz on their website for viewers test their knowledge. Did you know what PowerPoint was originally named as? Know of anyone famous who has quoted about PPT? Did you know that PowerPoint is also used in art? There are 7 questions in all. It’s a short, quick quiz and won’t take up more than 5 minutes of your time. Each question is followed by an answer with a small informative piece on the history or an explanation about the correct answer. 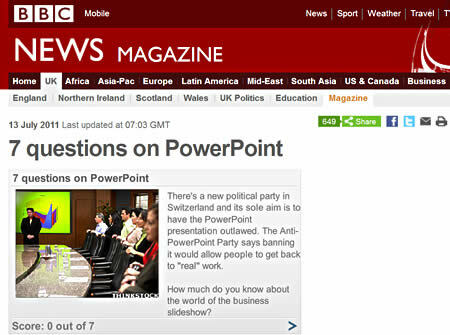 Head over to this quiz on BBC’s website and check your PowerPoint quotient. You’ll be surprised! 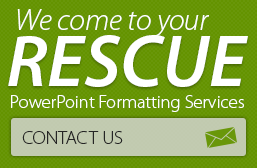 Looking for more PowerPoint tests? PowerPoint 2010? 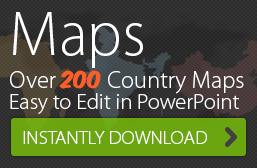 Take a free online PPT Assessment from 24point0!